The Dalai Lama Trust is a registered charitable body. Its income is derived mainly from royalties from sales of His Holiness the Dalai Lama’s books; monetary offerings made to His Holiness by devout members of the public, who request blessings either for themselves or for deceased members of their families; or just straightforward voluntary offerings. 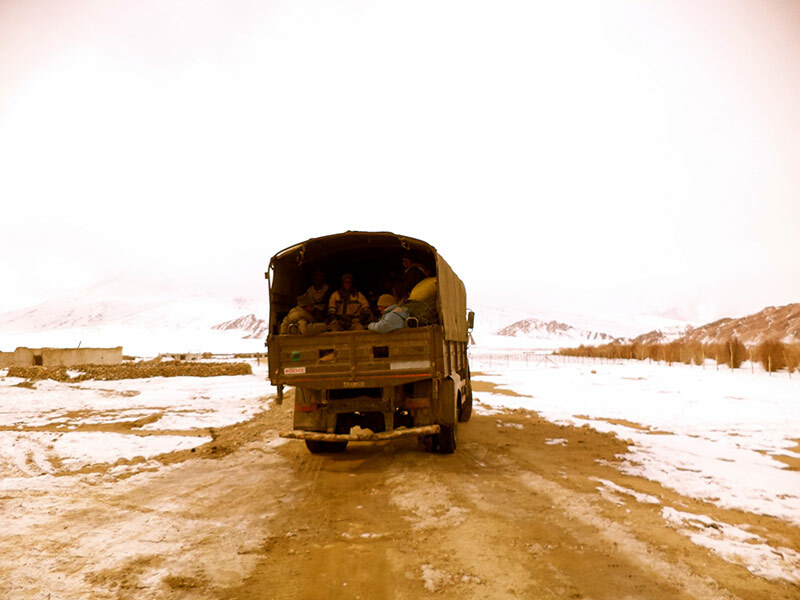 The winter of 2012 has been very hard on the members of the nomadic settlements in Ladakh, which together make up to 3,000 people. 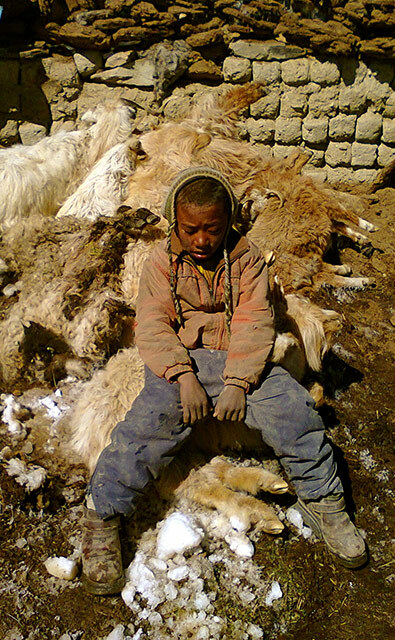 The main occupation in 6 of the 9 nomadic settlements there is farming and animal rearing. Farming in that region is difficult though, as the arid desert like topography allows very few crops to grow –wheat, barley and alfa-alfa grass. The remaining 3 camps have some small businesses in addition to farming. The heavy snowfall of this last winter has killed 30-40% of the cattle and livestock of the nomadic people. Although the chill is constant every winter, the amount of snowfall this year was so great that the animals were unable to find any grass under it, causing hunger and starvation over their six-month long brutal winter. 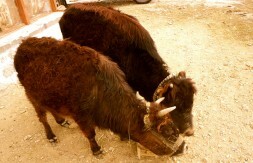 The Dalai Lama Trust donated funds for feed and fodder. The main focus was on the weakened animals that can be saved. 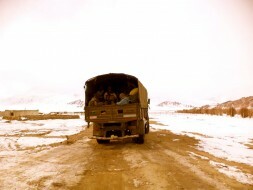 The fodder has been equally distributed to all those in need, regardless of whether they are Tibetan or not. It is important that this ancient profession be preserved and that the lives of these herders not be threatened. Mr. Dhondup Tashi visited and shot footage of this tragedy. 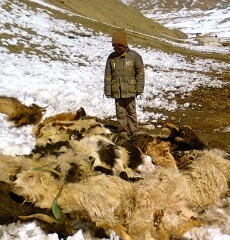 He shows the piles of dead animal carcasses and pointed out that the situation is disastrous for their livelihood. The photographs of these masses of dead animals are violent and striking at the same time, similar to the reality that the nomadic people are facing. The next step is to devise strategies to prevent such a tragedy from occurring again. The CTA officers are meeting to brainstorm about what measures need to be taken, how much dry fodder must be procured in advance and what preventive solutions may be available. It was heartbreaking to see this loss, in a lifestyle that is already quite rough and influenced by the elements. It is truly a big loss for these hard working people, not to mention the suffering of the animals that have died.